December 2018 – KJK Fund III acquires 50% ownership in Tahe Outdoors OÜ. KJK Fund III made its first investment by acquiring a 50% stake in Tahe Outdoors in a capital increase transaction finalized in December 2018. Tahe is an Estonian company manufacturing and distributing high-quality watersports equipment. Main products are kayaks, canoes and paddling equipment – the company offers a wide selection from high-end custom-made products to budget models. Tahe operates with 5 brands of watersport equipment and it has 3 factories located in Estonia, Germany and France with 130 employees. The Company’s sales network covers more than 35 countries worldwide. Over 95% of the sales are generated from outside of Estonia. The funds injected by KJK will be used foremost to acquire a leading watersports equipment manufacturer, BIC Sport, headquartered in France. BIC Sport is one of the leading Stand Up Paddleboard manufacturers globally. The company has utilized its technological manufacturing skills for over twenty years producing watersports equipment including SUP, surf and windsurf boards and kayaks. Tahe closed the acquisition of BIC at the end of December 2018. By taking over BIC Sports Tahe will create the second largest water sports equipment producer in Europe, the expected consolidated 2019 turnover for the Group is EUR 42 million and EBITDA more than EUR 5 million. September 2018 – KJK Fund III first closing successful with EUR 138 million total commitments KJK Management S.A. announces the successful first closing of KJK Fund III S.C.A. SICAV-RAIF with total capital commitments of up to €138 million, 55% of the total fund target size capped at €250 million. The new fund will continue the lucrative investment strategy of its predecessor funds investing in the Balkan region and the Baltic countries where KJK team has been active since the mid 1990’s. The fund investors consist of well-known blue-chip institutional investors and investment professionals from Finland and the Funds investment area. “Our new fund KJK III has found strong support from our traditional client base and a select number of new investors to exceed the funds first closing target of €75 – 125 million. We are really pleased to see the excitement and interest towards KJK Fund III domestically and internationally and are naturally very grateful for our investors trust and continued support. Being active in our core investment area for over twenty years, our long relationship and trust is also highlighted in the high-quality pipeline of investment opportunities”, elaborates Kustaa Äimä, KJK’s managing partner. Following KJK’s tested strategy, the new Fund will focus on industrial and agribusiness companies with turnovers of 20-50 million euros and 20-40 million of enterprise value. Geographically, KJK Fund III will invest primarily to Bulgaria, Croatia, Romania, Slovenia, Serbia and the three Baltic States where KJK’s seven regional offices are based. The aim is to build a portfolio of well managed companies with reasonable valuation multiples with a preference for majority stakes and clear exit strategies. KJK promotes portfolio companies’ investments into people, growth and cross-border expansion. KJK also supports sustainability and is committed to society, communities and the environment and is a signatory of UNPRI responsible investing policy. For further information do not hesitate to contact us at KJK Management. September 2018 – KJK Fund II Balkan exits Aerodrom Nikola Tesla On September 2018 KJK Fund II Balkan sold its entire stake of ca. EUR 6.2 million in Aerodrom Nikola Tesla, the operator of Belgrade Airport. KJK Fund II Balkan originally invested EUR 1.8 million into Aerodrom Nikola Tesla between August 2012 and January 2014. Over the holding period the Fund received ca. EUR 0.7 million in dividends, bringing the total net proceeds with sale of the shares to EUR 6.9 million. The Funds return from the investment into Aerodrom Nikola Tesla thus yielded 3.8x money back and 29.3% IRR in EUR terms for the holding period. April 2018 – KJK Fund II Balkan exits Zentiva SA On April 2018 KJK Fund II Balkan closed its exit transaction of Zentiva SA, the Romanian generic pharmaceutical producer. KJK Fund II Balkan originally invested into Zentiva between late 2012 and 2013. Net proceeds from the sales were EUR 13.42 million and in addition the Fund received EUR 1.85 million in dividends during the holding period. This resulted in total net proceeds of EUR 15.27 million. KJK achieved a very good financial return from the investment into Zentiva: 4.42x money back and IRR of 24.2% in EUR terms. February 2018 – KJK Fund II exits Conpet SA On February 2018 both sub funds of KJK Fund II divested their entire holdings in Romanian pipeline operator Conpet SA. The sale was executed with an accelerated book building process, with large majority of shares being acquired by Romanian institutional investors. The sale follows KJK’s achievements of generating added value for the Fund’s investors. During KJK’s ownership Conpet’s stock was moved from Bucharest Stock Exchange’s secondary list to premium category, which increased public interest towards the company. KJK also promoted higher dividend payouts to shareholders, which were achieved in the form of extraordinary dividends as well as higher regular dividends. Originally KJK Fund II Balkan invested into Conpet in 2012, resulting in 34.6% IRR and 4.35x cash return on invested capital, with the total net proceeds for the fund being ca. EUR 6.9 million. KJK II Balkan Discovery invested into Conpet in 2014, achieving IRR of 39.9% and 2.68x money back, bringing total combined net proceeds to EUR 11.6 million. February 2017 – KJK Fund II Balkan exits Transgaz SA On February 2017 KJK Fund II Balkan finished its exit from Transgaz SA, the Bucharest-listed gas transmission company. The shares were placed on the market during a two-month period by a broker mandated by KJK. KJK Fund II Balkan invested in Transgaz, the monopoly operator in Romanian National Transport System of gas in a private placement in April 2013. Transgaz operates the pipeline network under a concession agreement with the state. The company’s business performance has been solid and transportation revenues have been growing steadily during the ownership period. The Company’s unaudited revenues for 2016 were ca. EUR 412 million which was 12.1% higher than in 2015 and net earnings for 2016 were EUR 132 million, up 21.9%. The investment in Transgaz proved to be very profitable for KJK Fund II Balkan. The investment delivered IRR return of 27.1% per annum or a 2.1x cash return on invested capital, total proceeds from Transgaz investment were EUR 8.5 million for the Fund.“We have been highly satisfied with our investment in Transgaz”, says Kustaa Äimä from KJK Management. “Transgaz is a highly profitable company and we have provenly seen the management team to operate efficiently in challenging market conditions. The company’s success and investment performance demonstrated our investment thesis and value of investing in less known geographical regions which remain blind spots for majority of investors”, Mr. Äimä continues. December 2016 – KJK Fund II Balkan Discovery invests into Kovinoplastika Loz In December 2016 KJK Fund II Balkan Discovery closed the acquisition of Kovinoplastika Loz dd, www.kovinoplastika.si. 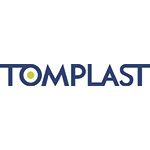 Kovinoplastika Loz is a globally active production company with EUR 60 million sales and ca. 700 employees, headquarters in Loz, Slovenia. It focuses on production of fittings, kitchen sinks, components and tools, through three main business units: Fittings, Inox, and Toolshop. KJK Balkan Discovery Fund owns 89% of Kovino as of now and is in the process making a mandatory buyout offer for Kovino’s minority shareholders. Kovinoplastika provides unique products and solutions to a vast variety of industries and end-users. It caters to the automotive and construction industry and furniture industry (hardware market), to the HORECA industry (non-decorative market), as well as to do-it-yourself enthusiasts and homemakers alike. 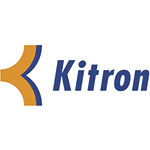 The company not only offers top quality products to a wide range of customers, but also uses the unique product portfolio to achieve substantial R&D synergies. Company’s fittings and inox products maintain their quality, by closely cooperating with each other and with the Toolshop (and vice-versa), resulting in out-of-the-box solutions that generate growth giving Kovinoplastika Group the edge over competitors. August 2016 – KJK Fund II Balkan Discovery invests into Leader 96 In August 2016 KJK Fund II Balkan Discovery closed the acquisition of 60% stake in one of the largest bicycle producers in Eastern Europe – Leader 96 OOD (www.leader96.com) The founders of the Company will remain to be actively involved in the management of the business as minority shareholders and board members, where the position of the Chief Executive Officer will continue to be held by Mr. Dimitar Zlatanov. Leader 96 has achieved impressive growth throughout the last several years, where the entry of KJK is in line with the Company’s plans to continue the strong development and expansion of its operations. The Company’s strategy sets further expansion through organic growth in new markets, by utilizing the potential of the new production facilities it recently completed. 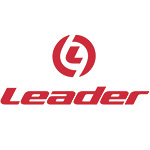 Established in 1996, Leader is nowadays one of the largest bicycles producers in Eastern Europe with turnover of ca. EUR 35 million and personnel of more than 500 people. The Company recently completed an extensive investment into a new factory and warehouse, which will increase the production capacity to more than 400 000 bicycles per year. Leader’s product range includes a large variety of high quality bicycles, such as e-bikes, city, mountain, kids, folding, road and fitness bikes. Currently, more than 95% of the production is exported to countries like Germany, Holland, Belgium, Denmark, France, Italy, Finland, Switzerland and many more. August 2015 – KJK Fund II Balkan Discovery invests into Don Don KJK Discovery Fund participated in a capital increase of Don Don d.o.o. in August 2015. The transaction follows the investment made by KJK Fund II Balkan in April 2014. In total, KJK Funds own 41% of Don Don. Don Don d.o.o. is the leading industrial bakery operator in former Yugoslavia headquartered in Grosuplje, Slovenia. The company employs ca. 1 500 persons and is engaged in manufacture of bread, fresh pastry goods, cakes and similar products and produces over 500.000 pieces of baked products per day. (www.dondon.si). 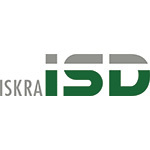 December 2014 – KJK Fund II Balkan and Balkan Discovery funds invests into Iskra ISD In December 2014, KJK Fund II Balkan and Balkan Discovery closed the acquisition of 51% of Iskra ISD (www.iskra-isd.si). Iskra ISD consists of a group of companies, which have been engaged in processing of metal and plastics. The group of companies is a mass producer of constituent parts and components for automotive and electronic industry as well as for household appliances. The companies in the Iskra ISD group employ over 400 people, and plan to give more job along with the planned expansion. In 2013, Iskra ISD generated revenues in total of 26.9 million EUR and 1.9 million EUR of profit. The company’s strategy sets expansion through organic growth with new operations in foreign markets as well as acquisitions and collaboration with foreign partners. The company plans to increase export from the present one-third to two-thirds of the company’s revenue, and achieve the increase of profitability through developing new products with higher value added. Development of new products refers to better integration of the present production programs, aiming at changing the company’s position from supplier of components to system supplier of sets. November 2014 – KJK Fund II Balkan Discovery acquires 12% stake in Eurohold In November 2014 KJK Fund II Balkan Discovery acquired a 12% stake in Eurohold Bulgaria (www.eurohold.bg), a leading Bulgarian company with operations across the CEE and SEE regions focused on non-banking financial services and automotive retail. 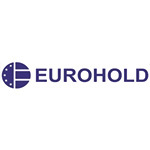 Eurohold Group is a public company, listed on both Sofia and Warsaw Stock exchanges. Eurohold Group, established in 1995, has expanded to become one the largest independent financial services groups in the CEE/SEE region. Its operations span across Bulgaria, Romania, Macedonia and Serbia. The main strategic goal of Eurohold Group is to become a leading financial services provider in the CEE/SEE markets offering insurance, leasing asset management to its customers and car sales. The Group owns Euroins Insurance Group, which is one of the largest independent groups operating in the CEE and SEE insurance markets. The insurance holding operates in 7 countries including Bulgaria, Romania, Ukraine, Greece and Macedonia and employs 1,200 people.